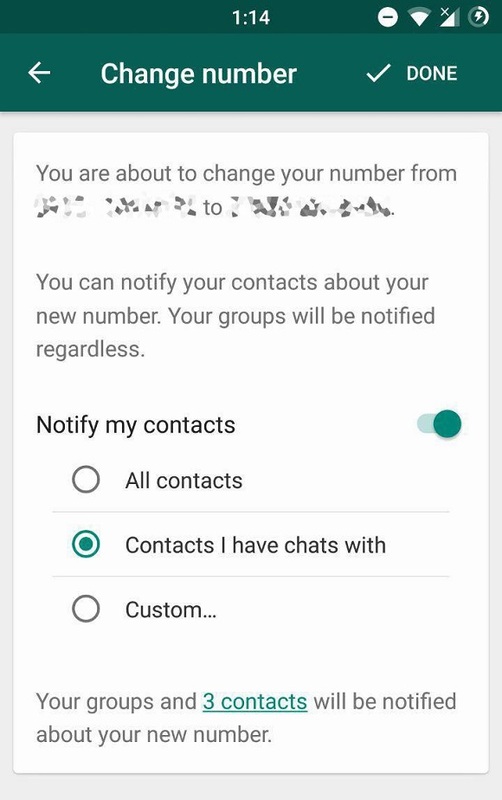 WhatsApp comes with latest update to let you notify particular contacts about you having changed your phone number. This latest feature is already rolling out to the latest Android beta version (2.18.97) of the app. It extends the original Change Number feature that allowed users to migrate their account information, groups, and settings. According to WABetaInfor report, the new Change Number feature is rolling out through a server-side update to WhatsApp for Android beta version 2.18.97. A latest addition allows you to notify all contacts, contacts that you’ve chats with, or any particular contacts you wish, about your having switched from your old number to a new one. How to inform your friends about your New Number? Click on Account & Change number. Tap the Next button from the top-right corner. Enter your old and new phone numbers. Tap the Next button again. Enable the Notify my contacts option. This brings options, namely All contacts, Contacts I have chats with, and Custom. Recently, WhatsApp update came with different features like group description, search participants and quick switching between voice and video calls for Android users.